The picture at the top of this page is obviously posed. The single CW&LE electric freight motor has in tow a 22 car train grossing 1975 tons. International Nickel Co., Sudbury, Ontario where it became their 108. Sadly, this locomotive was scrapped in 1999. 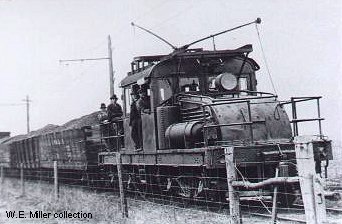 A locomotive, for which the CW&LE number is unknown, was ex Toronto and York Radial Railway 2, ex Ontario Hydro-Electric Power Commission E-21, originally Auburn & Syracuse Electric Railroad 105. Built in 1918, this Baldwin-Westinghouse class B motor carried s/n 48538. 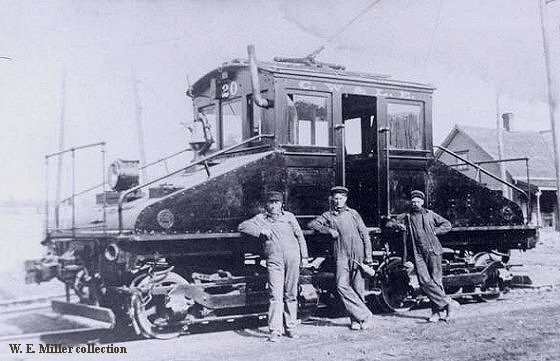 It later went to the Niagara, St. Catharines & Toronto Railway as their 18. It also operated on the Oshawa Railway before being retired. This locomotive is now at the Connecticut Trolley Museum, East Windsor, CT. The fourth locomotive was ex New York Dock Company, 'BROOKLYN'. This was a 25-ton class A Baldwin-Westinghouse steeple cab, bearing s/n 21488 and a builders date of January 10, 1903. It was acquired by CW&LE in December 1908 and numbered 20. 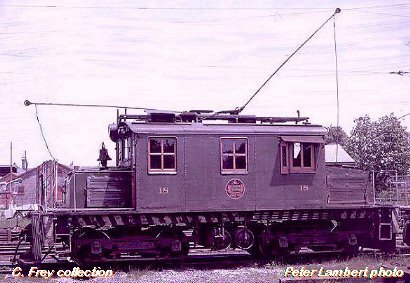 The book, 'Interurban Electric Locomotives From Baldwin-Westinghouse' shows this locomotive as being sold to the Cornwall Street Railway Light and Power, Cornwall, ON, as their 11(1) in 1928. 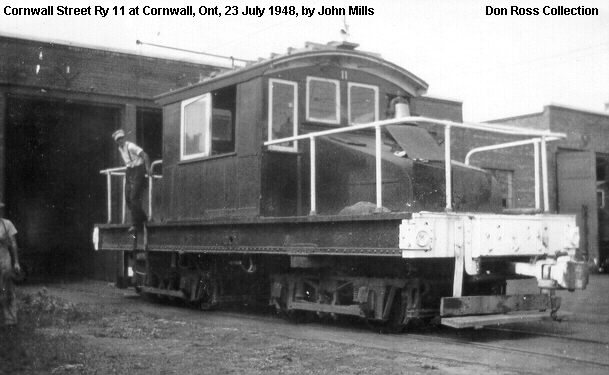 However, John M. Mills, in his book 'Niagara, St. Catharines & Toronto', states that NS&T 11 was sold to CSRL&P 11* in 1928. I strongly doubt that CSRL&P 11 is the same locomotive as CW&LE 20 as there are so many differences when comparing the two. Come Walking and Leave Early: A Pictorial History of the Chatham, Wallaceburg and Lake Erie Electric Railway Co.